Are you Looking Sliding Lock Screen? Then you will get up this application. 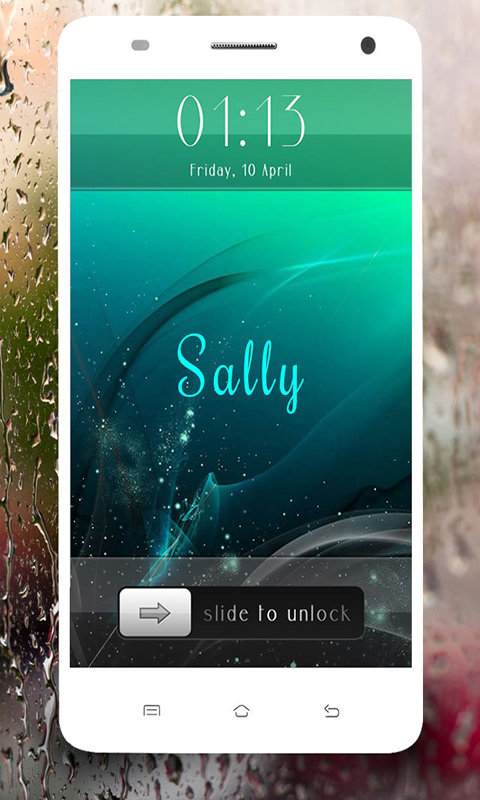 Lock screen with slider is best way to lock your mobile phone and it is just admire it. This apps is cool slider lock screen that you will realize your dream. 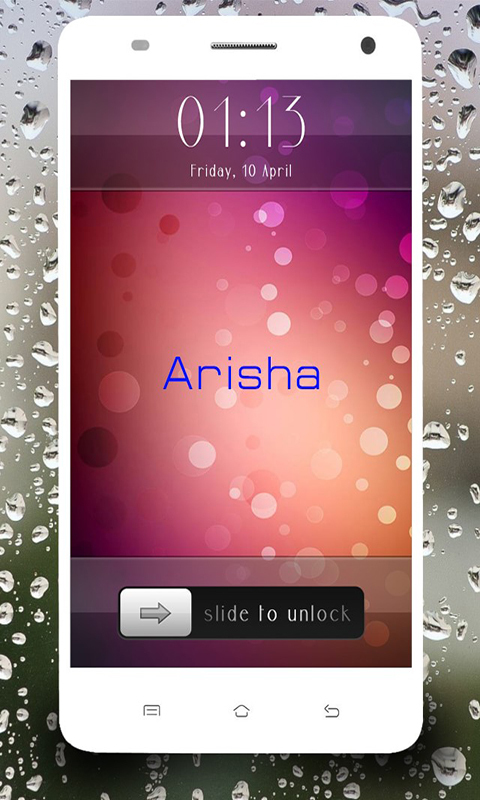 Slider screen lock functionality and feature is very best. // App. Feature // ❀ Swipe the screen to the right to unlock. 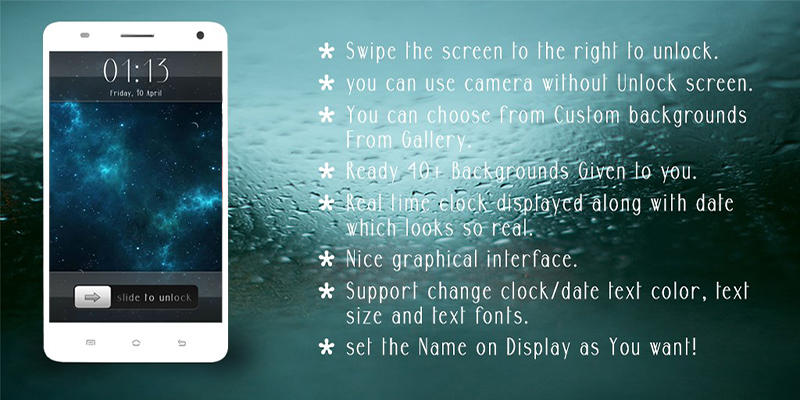 ❀ You can use camera without Unlock screen. ❀ You can choose from Custom backgrounds From Gallery. ❀ Ready 40+ Backgrounds Given to you. ❀ Real time clock displayed along with date which looks so real. ❀ Nice graphical interface. ❀ Support change clock/date text color, text size and text fonts. ❀ set the Name on Display as You want! ❀ Slide to unlock lock screen. 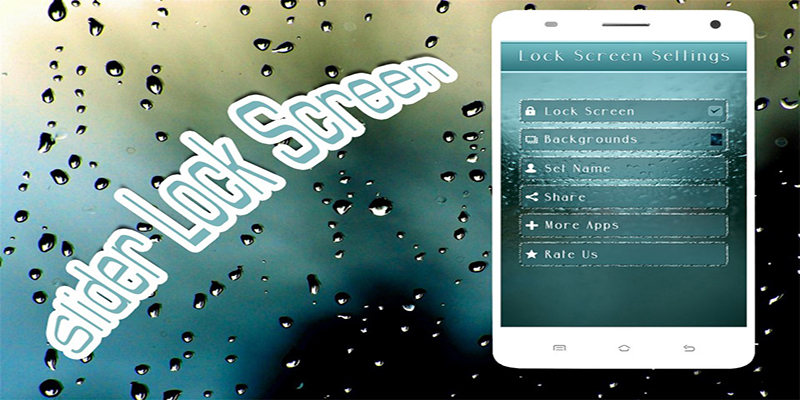 Just install this perfect "Slider Screen Lock" app on your Android mobile device. And enjoy! I hope you like my app, and I want to keep it free for you. Thanks for your reviews, friends!